This typical 19th-century schooner is similar in size and rigging to the Lake Serpent, which went down in Lake Erie in 1829. The National Museum of the Great Lakes believes it's the ship in a recently discovered wreck. The National Museum of the Great Lakes is hoping there’s a serpent at the bottom of Lake Erie. The serpent in question isn’t a new type of invasive species. It’s the Lake Serpent, a shipping schooner lost in 1829. 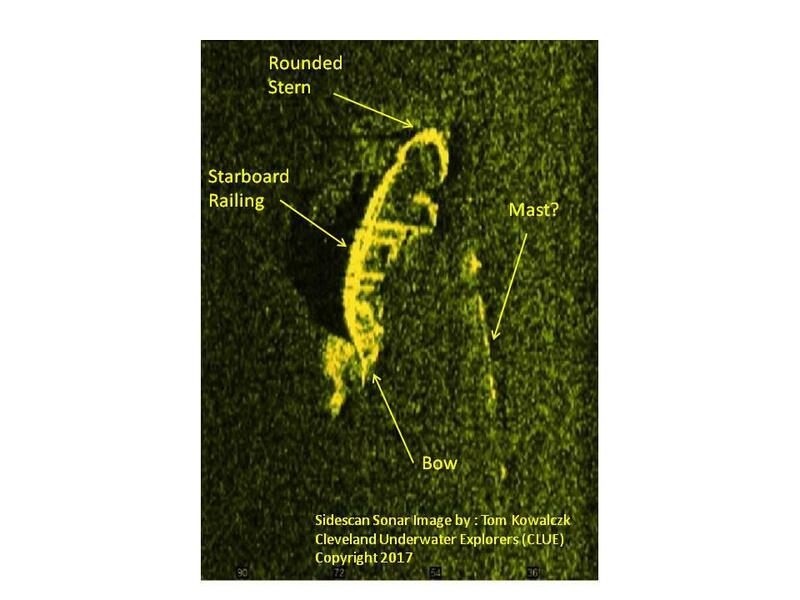 In 2015, the National Museum of the Great Lakes and the Cleveland Underwater Explorers discovered what may be the Lake Serpent schooner. The museum recently announced the discovery of a shipwreck off Kelleys Island in the western end of Lake Erie. The staff first learned about the find in 2015 and has since narrowed down the possibilities to three ships. The museum is planning a 10-day excavation this summer to determine if it is, in fact, the Lake Serpent. If it is, it would be the oldest shipwreck in Lake Erie. The museum has raised about $6,000 of the estimated $13,000 cost of the excavation. Chris Gillcrist is the executive director of the National Museum of the Great Lakes in Toledo. Of the thousands of shipwrecks that fill the Great Lakes, most people can name only one: the Edmund Fitzgerald. It’s the last and the largest ship ever lost on the lakes. This week marks 40 years since the Fitzgerald and its 29 crew members went down in Lake Superior. But even this many years later, the story still captivates the public’s imagination. 40 years after the wreck of the Edmund Fitzgerald. I had a friend I never met in person. His name was Mike Simonson and he was a reporter for Wisconsin Public Radio based in Superior. Mike and I spoke often by phone when he filed stories for the Great Lakes Radio Consortium – the predecessor of The Environment Report. Mike had done a lot of interviews and research on the sinking of the Edmund Fitzgerald. He spoke with many people who are still personally connected to the ship. He was our “go-to-guy” whenever we looked back on the sinking.